Comments: Plo Koon is a member of the Jedi Council. Special equipment protects his sensitive eyes and nostrils from Coruscant's oxygen-rich atmosphere. 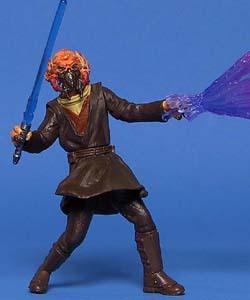 With his extensive grasp and control of the Force, Plo Koon leads the Jedi into battle on Geonosis.